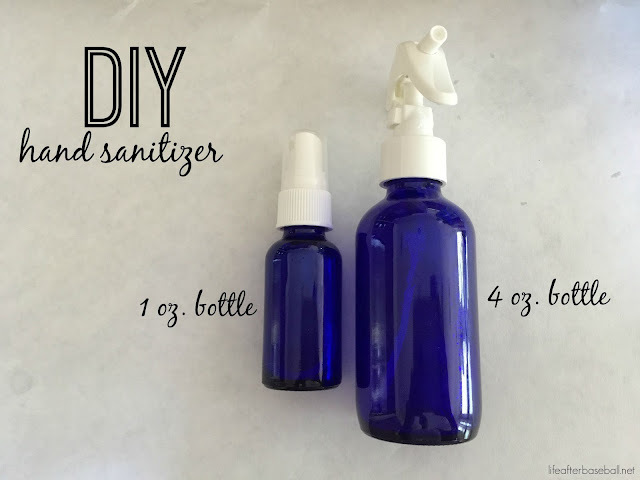 This past weekend I whipped up some hand sanitizer using essential oils and other household items. Super simple so I suppose I should share (couldn't think of anymore "S" words). I'm a little bit of a germophobe and the alcohol in the regular store bought sanitizers were drying my hands out way too much so I thought why not put my oils to use. Each single pure essential oil consists of several natural chemicals which have antibacterial properties. 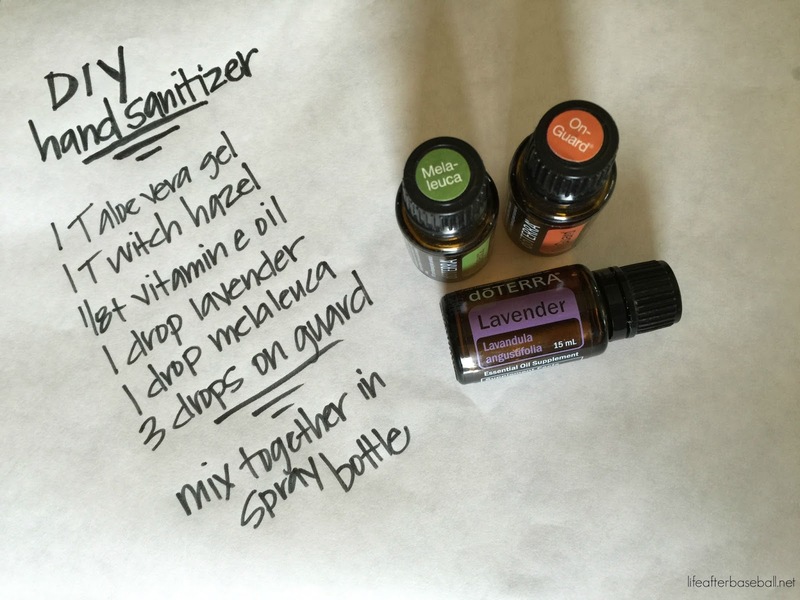 I used lavender because it is my all time favorite "go to oil" for almost every situation, melaleuca (tea tree oil) because it's the most popular antibacterial oil, and On Guard which is an oil blend that kills harmful bacteria, mold and viruses. I'll keep the 1oz. bottle in my purse and I doubled the recipe below to put in a 4oz. bottle to keep in my car. You can shop these oils on my doTERRA site by clicking here and the glass spray bottles can be found here. Big fan of the oils myself! Have the spray bottles all ready to make these, just need to DO IT! LOL thanks for the push! Very well written article. It was awesome article to read. Complete rich content and fully informative. Totally Loved it .for information regarding toilet seat sanitizer please visit to the link.